How do you find a good nursing home when you need one? For many years, it was very difficult for families to find any information on quality measures, and had to rely solely on word of mouth from others. The Center for Medicaid and Medicare Services (CMS) recognized the need for more and better information, and created a new tool, called Nursing Home Compare. Nursing Home Compare allows anyone to go online and look up a specific nursing home, or several different nursing homes in the same area and compare their ratings. 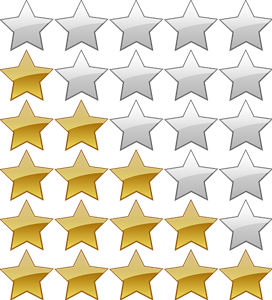 The ratings are based on a 5 star system (5 being the highest), and report on quality measures, staffing levels, and state inspections. The quality measures are separated out between long term and short term patients. They provide information on the entire population in the nursing home so that the public receives an accurate overall picture of care, and not just the care of one or two people. The measures include the number of falls, bed sores, those who experience pain, weight loss and depression. The staffing data are provided by the nursing home based on the roster of workers in the two week period surrounding the inspection. Nursing homes are not told in advance when an inspection will occur, so presumably, the staffing data are accurate. The health inspection information come directly from the state, and reflect the results of state inspections and include fines and penalties imposed. This system has come under increasing criticism because until now CMS did not independently confirm the information nursing homes submitted for staffing levels and quality measures. Over time, consumer advocates noticed that the number of nursing homes with 4 and 5 star ratings had increased significantly, including some facilities that were on a watch list due to poor performance on health inspections. Adding a new quality measure for use of anti-psychotic medications. Reconfiguring how the overall star rating is calculated to ensure that a nursing home with poor health inspections could not receive an overall rating above a 3 star. As a result of these changes, 63% of all nursing homes had their ratings lowered. Before these adjustments, 80% of all nursing homes had either 4 or 5 stars. As of last week, less than 50% of them had these ratings. Although these improvements will make the tool more accurate, people should not rely solely on these ratings when selecting a nursing home. They are a start. You still need to visit the home, preferably more than once and at different times of day and at least once on a weekend. If possible, you should talk to the residents and the residents’ families and find out what their experiences have been.